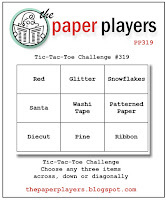 pine from their tic tac toe chart. and made some fun matching envelopes to go along with them! Darling cards for Christmas! And oh my, what sweet envelopes. I love prim Christmas trees! The envelopes too are just so pretty! This is sooo cute, love the itty bitty envelopes! These are adorable! What a great way to incorporate that washi tape, and I love that you made a set with envelopes! VERY cute! 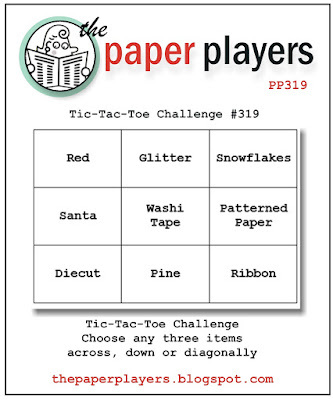 Thanks for playing with my tic-tac-toe challenge this week! so cute has that great country charm and love the envelopes with them!